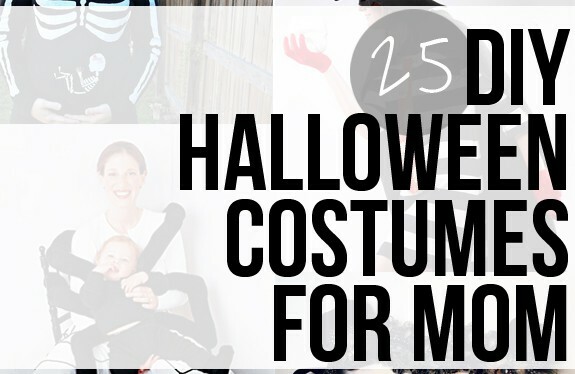 After yesterday’s roundup of 25 DIY costumes for kids, it’s time to get momma dressed! DIYing a Halloween costume is part of the whole Halloween experience. 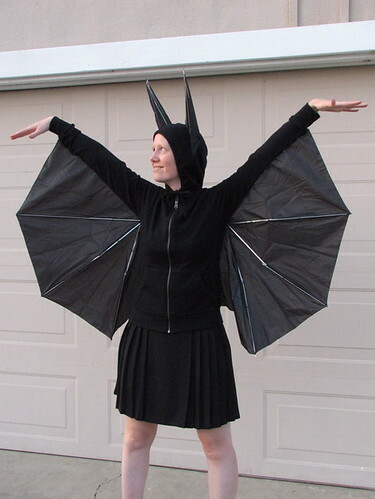 It’s a great time to let your creativity shine with these 25 DIY Halloween costumes for women! Pregnant? 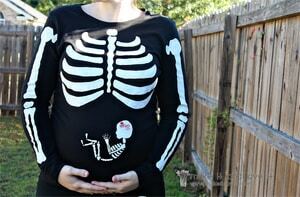 Here is a costume that is as spooky as it is fun – and a matching one for the hubby. 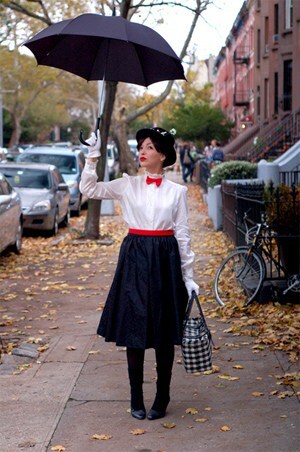 This is simple as can be: just put together a Mary Poppins look with items that you already own, and the obligatory umbrella. 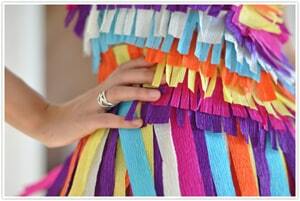 Here’s a fun last minute idea: the pinata costume. It takes lots of crepe paper and one leotard. 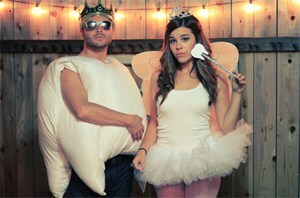 A great idea for couples – him as the tooth and her as the Tooth Fairy! Plus, his costume is made of pillows – so fluffy! It may be unusual and time-consuming to go as a mountain, but it certainly looks amazing and novel! 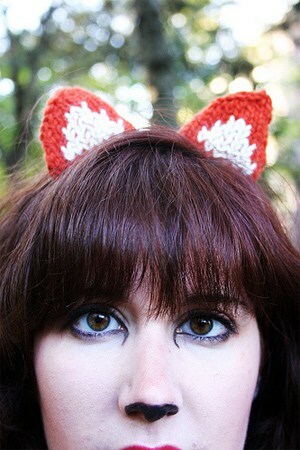 A quick last minute idea: crochet these fox ears and put on a furry vest: there you have it, now you’re a fox! Once again, your wardrobe (and your glitter supplies!) come in handy – become Dorothy by following these key steps. You know how they say the little black dress is a versatile piece? 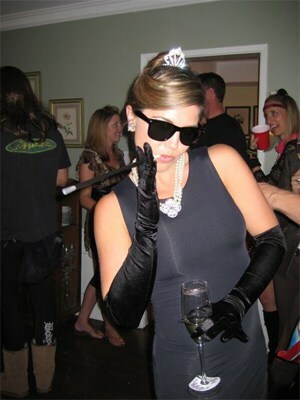 It’s true: you just add a tiara, pearls and gloves and you’re having Breakfast at Tiffany’s! 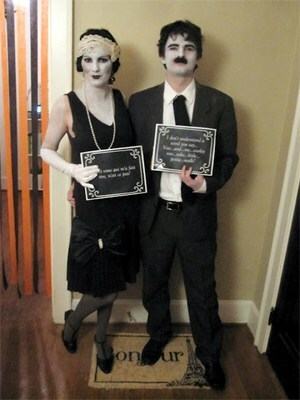 With lots of white make up and a flapper dress, you can turn into a silent movie star. Bonus points if the Halloween party is in a black and white room. 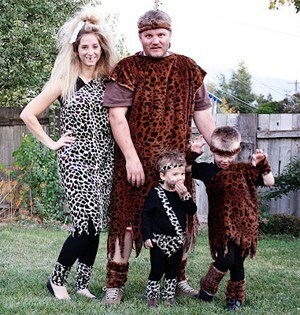 From your smallest to your largest family member, anyone can be a caveman! Warm-weather friendly. 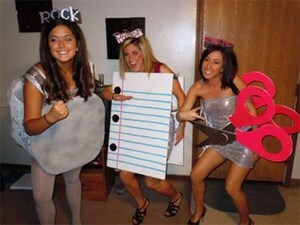 Turn Halloween into a blast with the rock paper scissors costume, designed for three persons! Sweet costumes are not exclusive to children. How about an entire family of treats? That time of the year when Gaga’s stage outfits become accessible for everyone to wear! 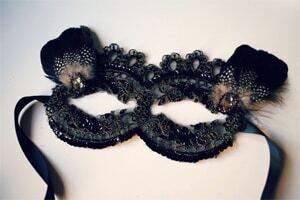 If you’re running out of time and ideas, just make this elegant mask and wear it with a little black dress. 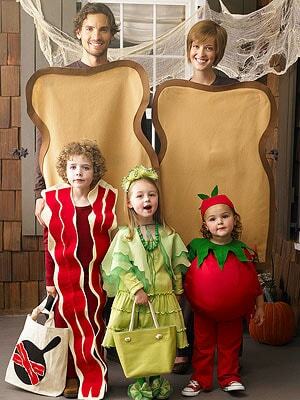 Turn the kids into bacon, lettuce and tomato, while you and the hubby dress up as toast. Fun Halloween breakfast, right? This Halloween, dress as the most fabulous New Yorker of them all, with just a tutu and a tank top – Carrie Bradshaw! Got a striped dress and a black towel? The you’ve got almost everything you need for the Hamburgler costume. Out of inspiration? 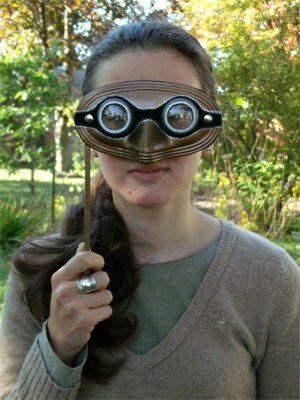 The flapper girl comes to the rescue, as a timeless good idea for Halloween. 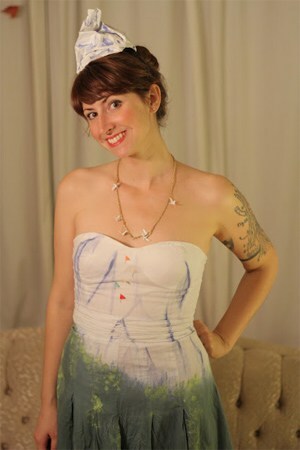 Everyone loves an inexpensive costume, and this one is fairly easy to make as well. 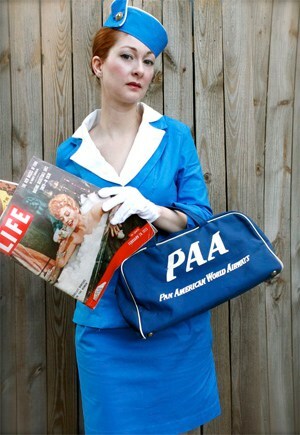 Combine your love for period dramas with your love for period dress-up in this lovely Pan Am costume. This outfit will make a splash and you don’t even need a sewing machine. This costume is surprisingly easy for the amount of comments you are sure to receive! If you are willing to invest a little time, you can morph into a chic, trendy owl. How many of us have a broken umbrella lying around? What a clever way to reuse a simple umbrella. 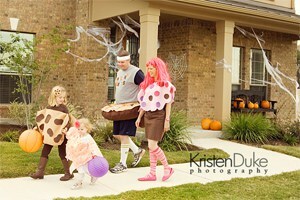 Remember the kids’ gumball costume from yesterday? Here’s an adult version! It would be even better if you handed out actual gumballs, please. So, what’s your Halloween costume plan? Gosh, I don’t even know where to start! First off, thank you so much for for your wonderful post. I honestly never thought that I would get this far in life and the interactions of the internet have been nothing but amazing. I’ve made some really good friends here, and I adore each and every one of you all. I get and share so many wonderful things and I will be sure to this as well. I just got the backtrack for this…thanks for sharing my family of sweet treats, what a fun collection! You have no idea how much I needed that post ! I need a costume for work and was looking for a great DIY ! I’m thinking either Audrey Hepburn or the tooth fairy ! So many creative ideas! I never dress up for Halloween anymore. I am no fun! Love the silent film stars! Now I just need a party to attend! How fun! Thanks for the ideas!